Premier HGH From Golden Pride Call 1-800-533-1395 To Order Help Your Body Produce More Of It's Own HGH Naturally With Premier HGH From Golden Pride International. Premier HGH, helps your body produce more human growth hormone naturally. 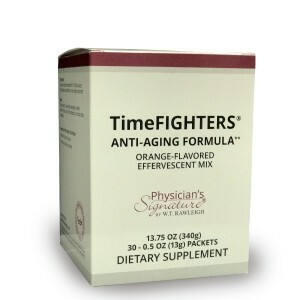 Feel 20 years younger with our, Premier HGH, supplement. Premier HGH offers a natural way for your body to produce more of it's own HGH. As we age, our body's ability to produce its own HGH diminishes which is critical for repairing body tissue, maintaining energy, mental and physical health, cardiac function, bone strength, and overall well being. Most processess that occur in your body are in some way tied to HGH. This is why HGH is often called the "fountain of youth". Premier HGH, is a human growth hormone precursor designed to gently boost production of your own HGH by delivering natural substances to the pituitary gland. According to Dr. Ronald Klatz, President of American Academy of Antiaging Medicine, at age 20 we produce a daily average of 500 micrograms of HGH. Age 40, 200 micrograms - less then half of the average 20 year old. On average, at 60 years of age. HGH production is about 75% less then in your mid-twenties. At the age of 80, daily production is only 25 micrograms. Help to awaken your youth today by adding, Premier HGH, to your daily supplementation. Premier HGH provides a natural way to stimulate your own body to produce more of its own HGH. Golden Pride International has tested, Premier HGH, for safety and effectiveness. Delivering amino acids safely through stomach acids and into the bloodstream is a difficult process. This is where the effervescent formula and glucose polymers come into effect. Properly delivering nutrients is a big issue. The pharmaceutical-grade glucose polymer combined with a liquid effervescent delivery system ensures that the very delicate amino acids and peptides are protected as they travel through the stomach. Our formula was designed to gently boost production of your own HGH by delivering natural substances to the pituitary glad. Try it. Most people notice a difference by their second month. I took Premier HGH for a month. After the first two weeks I was sleeping right thru the night which I haven't done in years. I wake up refreshed and not groggy like I used to from lack of sleep. I took the HGH supplement for the full month and slept great. But I forgot to reorder it ! By the time I got around to reordering it.....I was not sleeping thru the night again. After being back on the Premier HGH for one week I was back to sleeping thru the night. I now have Premier HGH on monthly autoship delivered to me with out me having to call in (or forget to call in ) every month. Oh it IS great to have a good nights sleep again. Trish K., Fla. I have started on the Premier HGH. In just 3 days, I am sleeping soundly, I wake up in the morning ready to go (not sleepy) and I have soooooo much energy!! Suggested use: Take one packet mixed with 4 oz. of water at bedtime on an empty stomach. Sucrose, glucose polymers, citric acid, potassium bicrbonate, sodium bicarbonate, natural flavor, acesulfame K, silica and beta-carotene color.